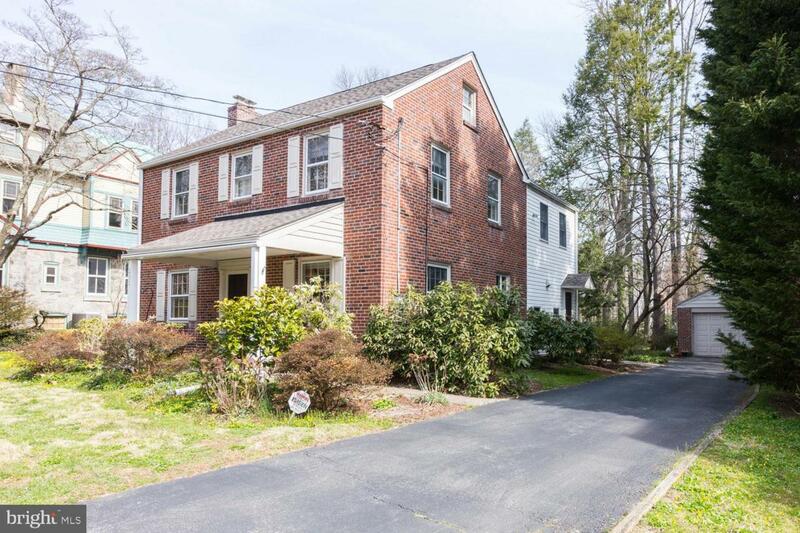 Beautiful 4 bedroom/2.5 bath move-in condition brick colonial located on desirable street near central hub of downtown Swarthmore. Only one block from Septa rail line, downtown commerce, and just a few streets from the elementary school. 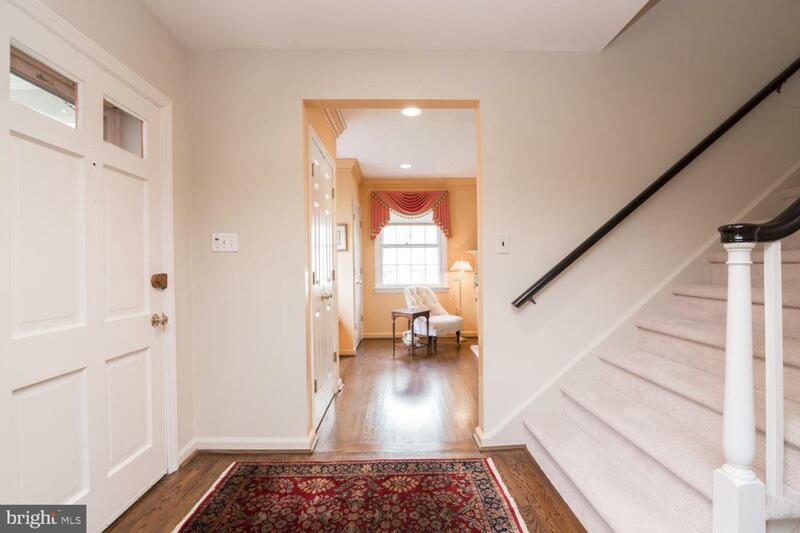 This special home has been cared for and updated meticulously. There is a large updated gourmet kitchen with Dacor double ovens, Bosch 5 burner gas cooktop and dishwasher, granite countertops and custom cabinetry with pullouts. In addition, there is a corner bar/ cooking sink, built in bookshelves for cookbooks, and a coffee bar. The kitchen opens to a large family room with a glass front cabinetry (electrified), bay window, built in shelving and bookshelves with crown molding. There is a sliding glass door open to the custom built stone patio and expansive backyard. Glass pane French doors lead to the formal living room with a stately fireplace and two custom closets and a charming window seat. Across the center hall is the dining room that opens to the kitchen with faux marble crown molding. There is also a powder room on the first floor. 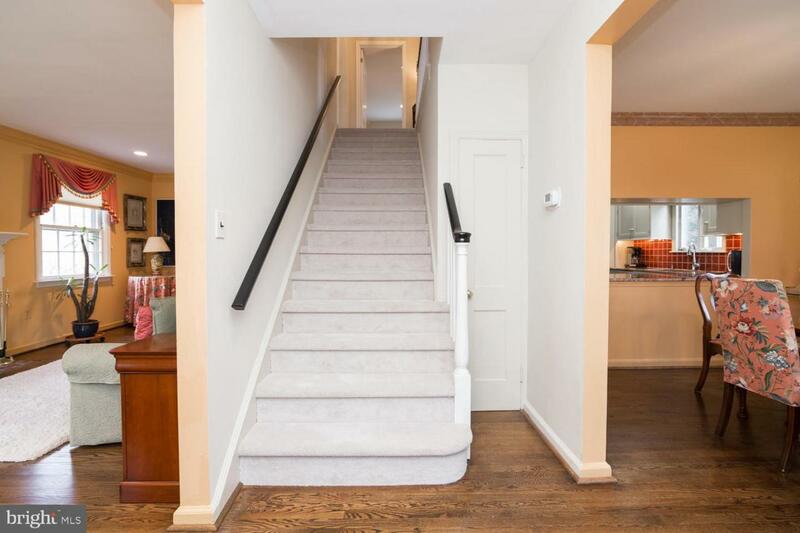 The 2nd floor has 4 bedrooms - three with excellent closet space share a hall bath and linen closet. There is a large master suite with en suite updated full master bath; rain shower, double vanity, and large linen closet. The master bedroom boasts an impressive walk in closet . The basement is partially finished and provides a great space for a playroom or office and it houses the laundry area. The yard is level and expansive extending way beyond the stone patio with beautiful landscaping. The detached garage is a short distance from the side entrance that includes a mud room vestibule. 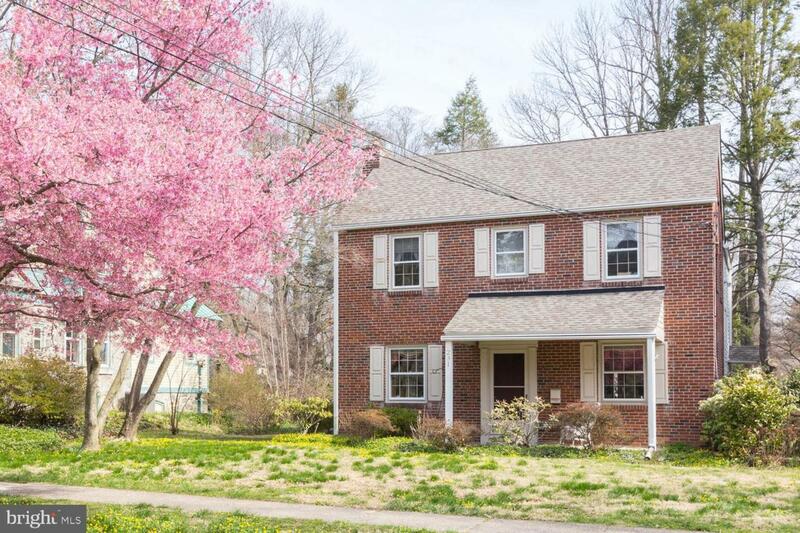 This house has many amenities, is in excellent condition, and in an excellent location close to the regional railway, airport, Philadelphia,and Wilmington. Showings start on Thursday.